The diverse, beautiful landscape and extraordinary biodiversity of Costa Rica are worth to be explored and enjoyed in many ways. However, there’s something to be said for the serene nature along the beaches, mountains, near waterfalls or the volcanoes while vacationing in Costa Rica! 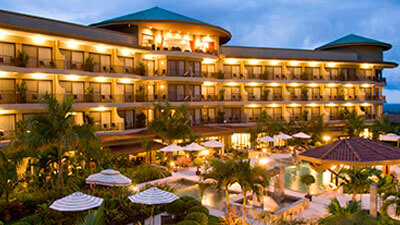 There is so much to see and do in Costa Rica that sometimes people don’t know where to start over. Instead of spending time walking or driving between destinations, why don’t you consider horseback riding in Costa Rica? While riding horses between each of your Costa Rica activities, you have the opportunity to discover country’s many native animal and plant species, not to mention save your body some energy to use your next adventure. Never ridden a horse before? If yes, you shouldn’t get worried about that. The tour operators providing horseback riding tours in Costa Rica can help you choose a horse and teach you how to ride safely and comfortably. One of the most important parts of horseback riding adventures is packing the right gear. While most horseback riding tours in Costa Rica will provide for the horse, you should ensure these items are included – a bug repellant, a hoof pick, water, a fly mask, your tack, water, etc. What to See on a Horseback Riding Tour? 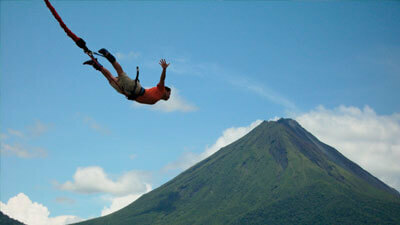 What you will see on a horseback riding tour in Costa Rica depends on the tour you have chosen. 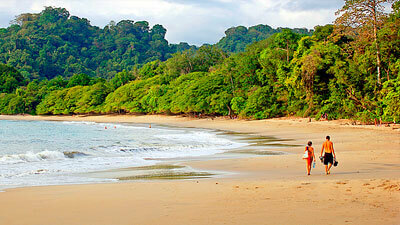 In many circumstances, you will explore rainforests, the beautiful trees, animals and flowers available right there. 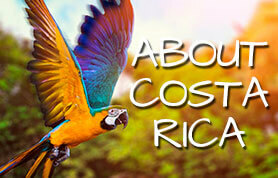 Many Costa Rica horseback riders come across toucans, bellbirds, and parrots. Some have seen monkeys, agouti, and sloths. Where do you go for horseback riding tour? Particularly in Monteverde Cloud Forest, horseback riding enthusiasts have the opportunity to travel through a huge variety of ecosystems that allow exploring the most in a short amount of time. Usually, this trip takes just a few hours but needs traveling a number of miles. Monteverde has a plenty of greenery at any point of time in a year and enjoys an average daily temperature of 64 degrees Fahrenheit that means this area has the perfect weather for horseback riding. Of course, once you have visited Monteverde, you’ll love to check out some of the other horseback riding tours in the area so that you can see even more. When do you go for horseback riding in Costa Rica? Horseback riding tours are available all year round throughout Costa Rica. While the rides are available throughout the day in most places, the right time to go for a ride on a horseback is in the hours after dawn or before sunset. Remember to call Tour Operators CR and book horseback riding tours in Costa Rica ahead of time as spots often sell out quickly. For immediate help with horseback riding in Costa Rica, please contact Tour Operators CR at https://tours.co.cr/contacts/. Feel free to stay connected with us on Facebook, Twitter, and Instagram social media networks!